Unplanned shutdowns can result in significant financial losses for oil and gas refineries. A common cause of sudden shutdowns is related to maintenance issues. What’s the solution? Making planned turnarounds an integral part of your refinery operations. It’s a cost-effective approach that saves time and money while keeping your operations compliant and safe. The oil and gas industry is one of the largest Industrial Development sectors in the world. Each year, over 36 billion barrels of oil is consumed worldwide. With this level of dependence on these natural resources, it’s critical that the industry conducts scheduled turnarounds to ensure the equipment and infrastructure remains stable, safe and environmentally friendly. However, unplanned shutdowns can have a negative impact on the economy and a company’s profitability. For instance, Indonesia was hit hard when operator BPMigas underwent 122 unplanned shutdowns within the first six months of 2014. This resulted in a major reduction in crude oil sales because the company had 6,860 bpd in lost production. The North Refineries Company’s Baiji oil refinery found itself in a similar situation. The firm was forced to boost its operating capacity from 70 to 80 percent to make up for its revenue loss. What were the major causes of the circumstances? One is the failure to make refinery maintenance a top priority. The other issue is not having clarity about government policies and regulations. Fortunately, these situations can be averted by planning an effective refinery turnaround. The key to a successful TAR is effective planning and management of the event. With that said, you need an expert contractor that has a track record of helping refineries of completing shutdowns on time, within budget while achieving full compliance with local, state and federal regulations. This type of turnaround service is more important than ever when you consider the Environmental Protection Agency has stricter policies on MSS emissions. It helps to work with a contractor that can ensure you maintain 100 percent compliance. Additionally, you can benefit from tailored engineering solutions that include water treatment systems, pumps, tanks, scrubbers, piping and compliance monitoring. Time, money and safety matter more than anything during a planned turnaround. Need smart solutions for finishing the job on time and on budget while adhering to compliance codes? 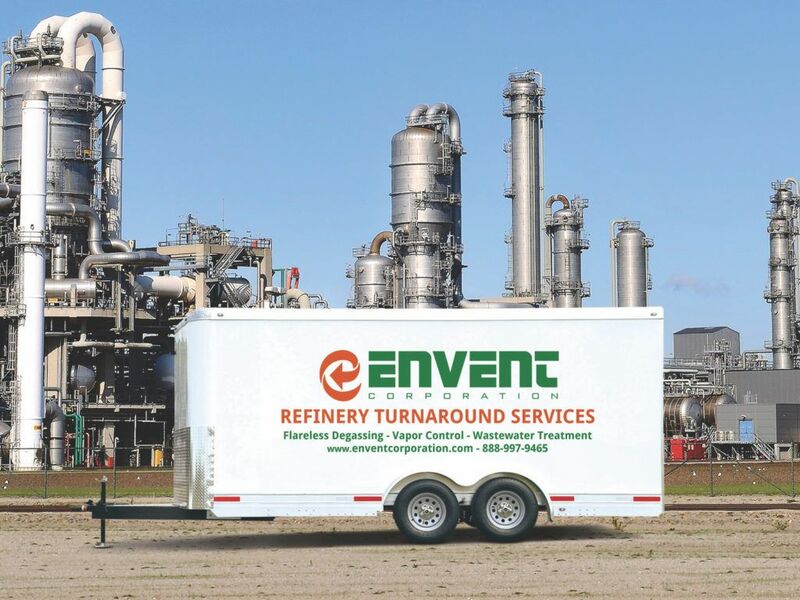 Contact Envent Corporation today to learn more about our turnaround services.